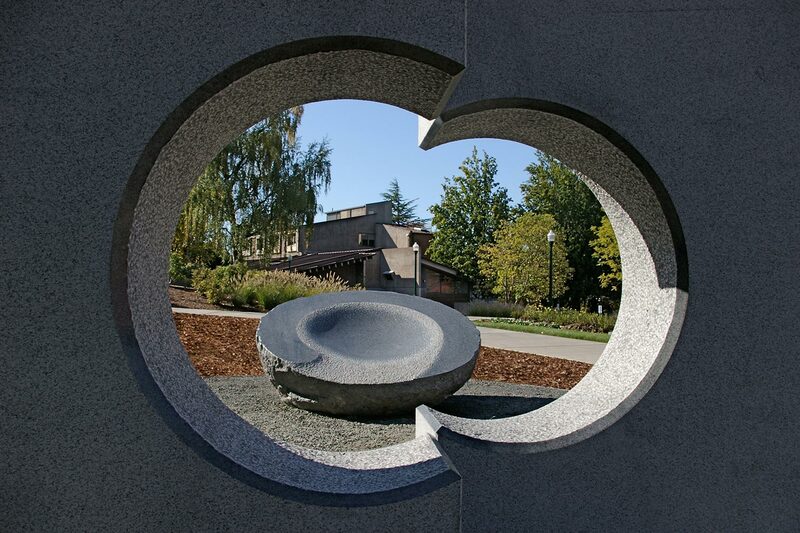 This is an environmental work that travels from the plaza onto the lawn area of the new College of Education at the University of Oregon, Eugene campus. 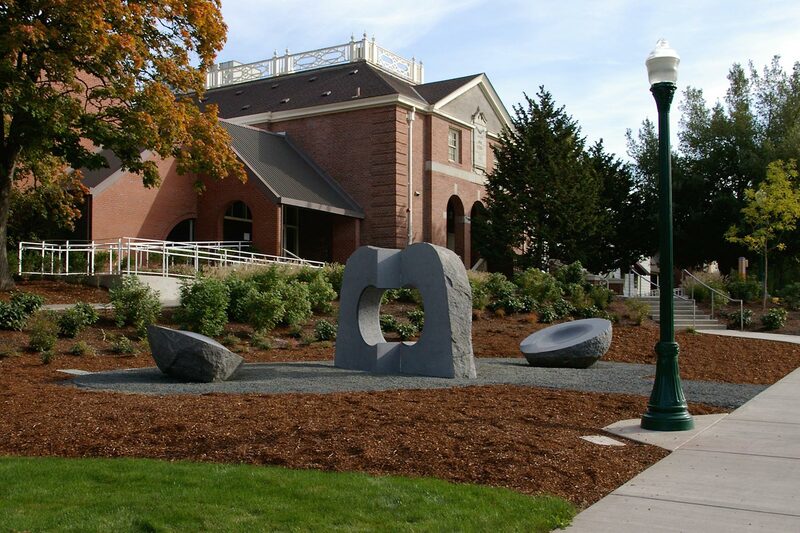 The work consists of two major components that are conceived as a whole, representing the concept of “Unity and Harmony.” The artist carved a freestanding sculptural composition out of granite boulders. 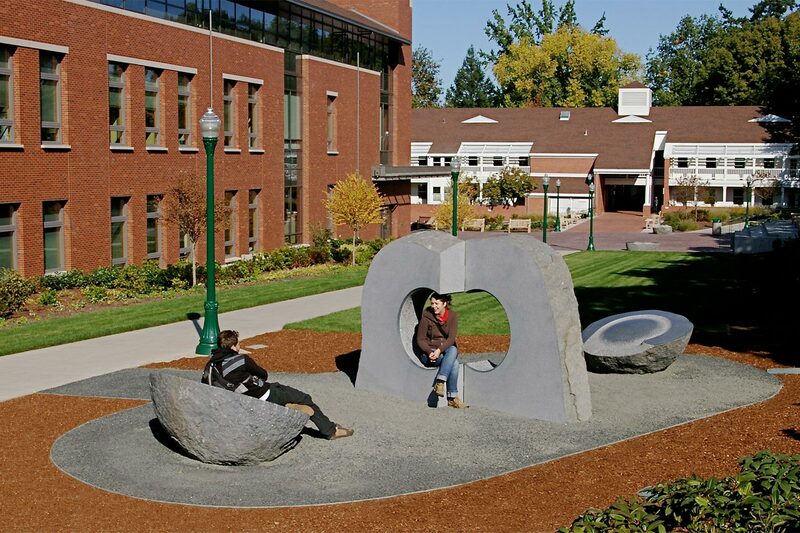 The sculpture was designed to be interactive with students and visitors to the campus. 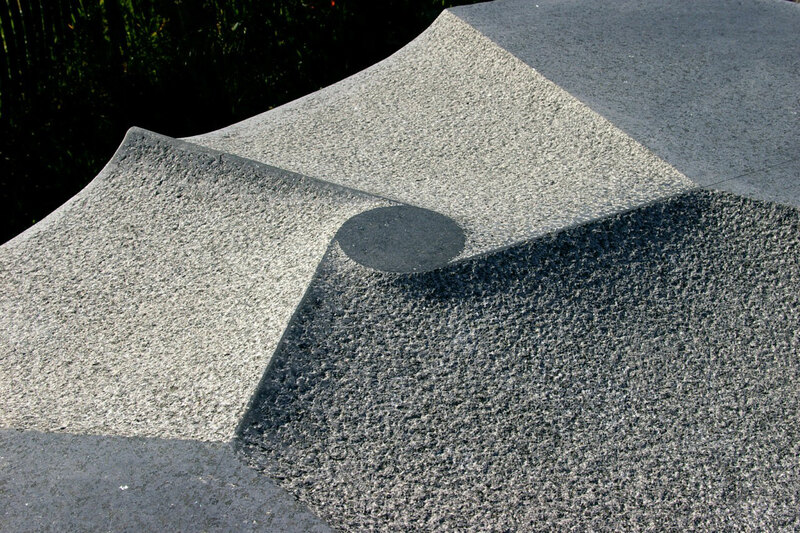 This composition is a metaphorical expression of a cycle of life. The main image is based on the abstract form of the universal concept of Heaven and Earth from the Asian concept of Yin and Yang. 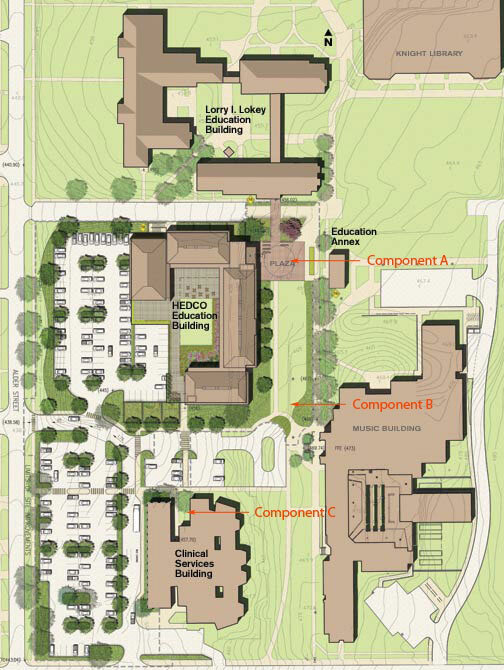 The next component is a series of 4 sculptural benches placed on the main entrance plaza. 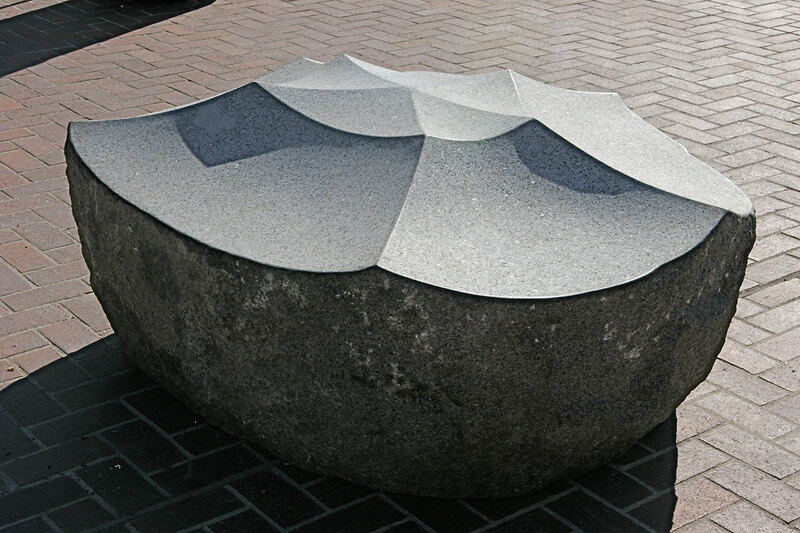 They are made from large natural granite boulders with the top surfaces hand carved and partially polished. 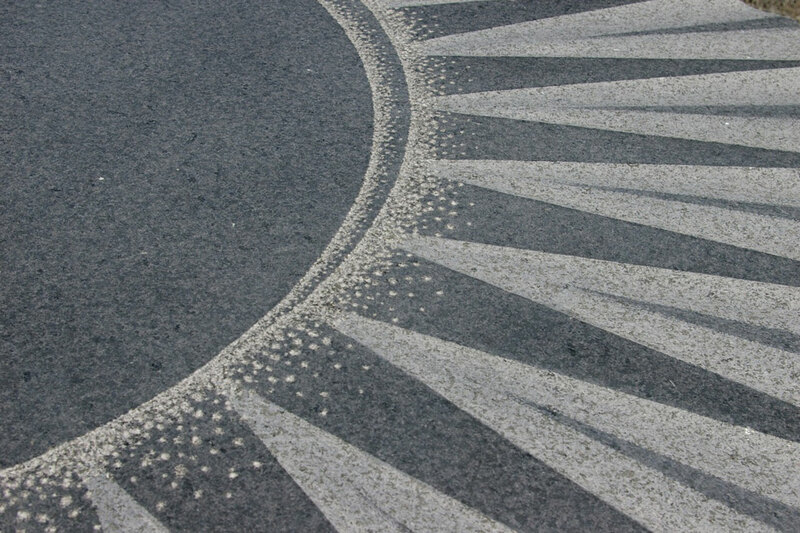 The relief carvings reflect the images of the 4 major elements found in nature: Mountain, Water, Wind and Fire.